Henry Jackson Foundation Medical Research International (HJFMRI) locally known as Walter Reed Program Tanzania (WRP-T) is an international non-governmental organization working in several countries providing care and treatment to people affected by HIV/AIDS and conducting research studies and has been actively involved in HIV and AIDS programming for over 30 years. WRP-T implements PEPFAR funded HIV prevention care and treatment activities in the Southern Highlands ,providing resources, personnel and services to the Zone. The program has expanded from supporting the Mbeya Zonal Referral Hospital in becoming a hub for anti-retroviral treatment in the Southern Highlands zone; to community support through decentralized services with the overall objective of implementing research clinical HIV prevention care and treatment services in Mbeya, Rukwa, Katavi, Ruvuma and Songwe regions in the zone. In collaboration with the Ministry of Health. Community Development.Gender. Elderly and Children (MoHCDGEC) and community NGOs. WRP-T has been leading a comprehensive HIV and AIDS care and support program in the Southern Highlands of Tanzania since 2004. The program which is sub-contracting with Regional Health Management Teams (RHMTs) and 14 community outreach partners. extends to 25 district councils in the five regions. Collectively the zone which has one of the highest HIV prevalence rates in Tanzania represents a catchment area with close to 6 million people (13% of the population of Tanzania mainland). Despite remarkable achievements made over the past ten years, the expansion of HIV care and treatment interventions remains critical both at the facility as well as the community level. Walter Reed Program- Tanzania is seeking qualified candidates to fill the position below. This position is established to work with others for the effective delivery and efficient transport services for the program staff and activities as required in favor of Walter Reed Program/HJFMRI Southern Highlands HIV/AIDS support. • Carry out tasks within guidelines laid down by managers / supervisor. • Tasks are usually routine but will require the use of initiative and/or basic planning. • Responsible for the proper use of equipment by others. • May be responsible for supervising one or more support staff, including basic planning of day-to-day work. • Required to gather and give information to supervisors, managers and occasionally members of the public. • Impact wider than own team/processes. • To be responsible for the HJFMRI vehicles driven and for the safety of passengers and to ensure that the vehicles are kept secure at all times. • Ensure that safety belts fitted in the vehicle are maintained in working order and used by passengers. • Record all journeys service and maintenance information in the vehicle logbook. • Ensure that spares tools and first aid kits are carried and fuel and water as required. • Ensure that all personal documents are up-to-date. 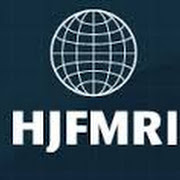 • Ensure that only HJFMRI personnel are passengers in the vehicles. The Executive Director or Senior operation Director must give permission for any other passengers in vehicles. • Undertake work related errands on behalf of the office or any staff member approved through your line manager. • Undertake any other duties as required in accordance with the job purpose to ensure the efficient operation of the programme. • Other duties as may be assigned by Supervisor. • Work extra/overtime hours as needed according to departmental workload. • Dress in a fashion that enables the employee to complete the daily tasks, while maintaining a professional and appropriate appearance. • Attend some basic logistics and clerical assignments as may be tasked by a supervisor . • Respect and maintain the relationship of trust required to obtain a high level of security access to offices, homes, and properties of company personnel without supervision. • Accurately complete and submit all necessary paperwork, such as daily dispatch sheets, petty cash items, etc. • Transport employees, Distributors, and other individuals as directed, in a safe and responsible manner. This includes departmental training, new employee orientation, shuttle transportation for Distributor training and various activities, shuttle transportation for conventions and conferences, airport runs, etc. • Be willing and able to perform tasks without direct supervision that may require physical labor, and possibly the use of hand tools. This work may need to be performed both indoors and outdoors in inclement weather. • Assist in the process of visa and work permits linking with Immigration and civil service departments. • Motor vehicle .servicing and maintenance skills, including four wheels drive vehicles. • Commitment to teamwork, initiative and flexibility and willingness to work outside normal working hours. • Be willing and able to meet tight deadlines and work long hours when required. Cover letters and resumes should be sent by mail through post/EMS/DHL/ or any Courier to the Human Resources Manager. P.O . Box 6396. Mbeya or transmitted by email to; recruitment@wrp-t.org NOTE: to be considered, applicants must put the TITLE OF THE JOB in the SUBJECT LINE. avoid delivering the application in person or soliciting any member of the organization, Deadline for submission of the application is October 13th. 2017. Those who do not meet the minimum requirements as detailed below should not submit applications.